I love when I can find a video resource like Lots & Lots of Playful Penguins and Lots & Lots of Penguins to the Wild to be the focus of a unit study, makes my work much easier! 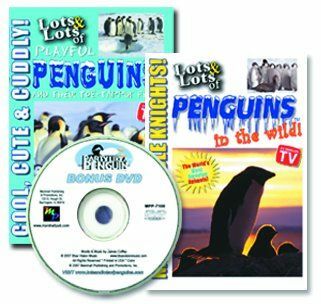 Published by Marshall Publishing, this 2 disc set with bonus DVD invites the homeschool teacher to the wonderful world of penguins for students. This Dove Family- Approved movie is fun for all ages, no one tires of seeing penguins! Educationally it is geared to aged 4-10. It can be a bit too 'playful' for even 10 year olds, though mine did enjoy the great footage of the penguins. Playful Penguins is 75 minutes long, but each section is broken down into easy clips that you can choose to just show one or 2 during a sitting. They are about 10 mins on average for each section on the disc. 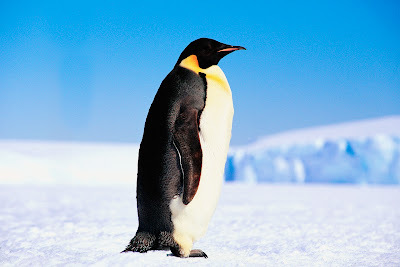 just slippin and a sliding on the ice and snow"
Catchy tune for the younger set to get them excited about the penguins. The video is a beautiful combination of 17 breeds of penguins! I didn't even know that there were so many. How many can you name?? 17 breeds, at least one on each continent south of the equator. They spend 75% of their time in the water, the rest building nests in a variety of ways and places for their young. 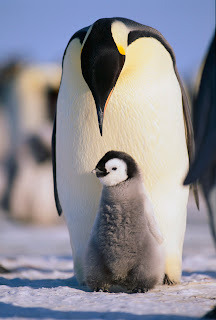 The dvd takes each of the 17 breeds and shows a real filmed segment of the penguin, describes its visual characteristics, where it lives, how it builds it's nest, and it's eating habits. It also includes a "Here's what it says" audio sound at the end of each breed. Who would think that they would all sound so very different. My ever so brilliant 15 year old thought the Adelie sounded like a flushing toilet. They were widely different though and it was so neat to hear each ones sound. The dvd gives a brief mention of the few endangered breeds of penguins, mentioning how many are left, with the Galapagos penguin being the least at 1500. Between oil spills, climate change and decrease in food supply there are a few groups that are dwindling. I loved how this was mentioned, the facts given, but it wasn't focused on as the sole theme of the dvd. The difference in this penguin dvd is that the plight of the penguins wasn't used as a propaganda ploy to make us all feel bad about global warming and the man made threats to animals. The theme was to educate, not to indoctrinate. Just in watching these videos I was able to brainstorm an entire unit study. Art: with each penguin being so different you can pause the DVD at each penguin and do a sketch, emphasizing the various characteristics. Science: there are VAST numbers of things in this category from looking at what they eat and how they process it, to how they survive the cold/heat, and one interesting fact that they have a special glad that converts the salt in the ocean water to be used for their drinking water. 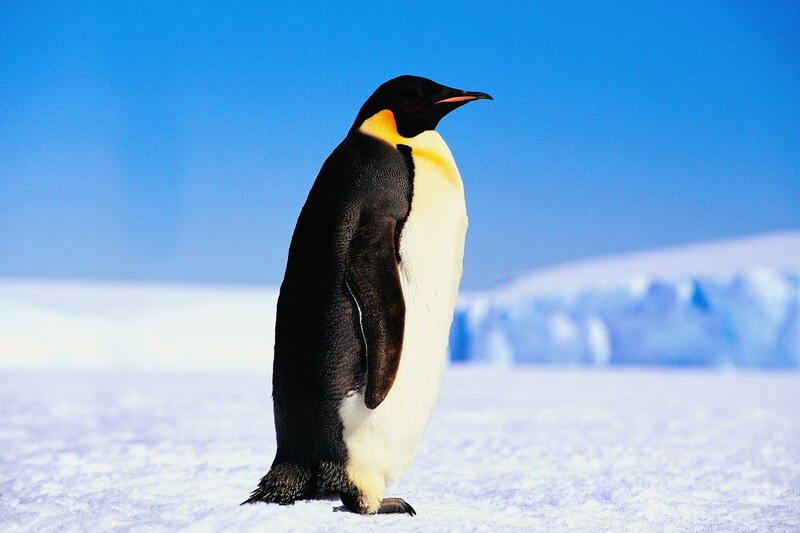 Geography: Map out on a world map where all of the various penguins live. Put a small penguin sticker on each area and note how vast their population is. Math: Looking at the differences in measurements of the penguins in height and weight. Also the DVD discusses how many penguins there are of each breed approx left, so many story problems can be used from that. Physical Education: Party like a Penguin gives you dance moves to do the penguin dance! This will appeal to the younger set as it is a digital graphic and a bit young. The music does make your head nod to the beat though! There is so much more you can pull from these DVD's as you look at the greatness of God's creation. I was excited to see that Marshall Publishing has several Lots and Lots of titles in their inventory. Monster Trucks, Trains, Firetrucks and more including an upcoming one on dolphins! Many themes you can utilize for your home study or even just as a gift this holiday season. That is a $7.95 savings just in shipping! See what some of my Crew Mates think about Marshall Publishing and the DVD's they reviewed by clicking on the banner below. As a member of the Schoolhouse Review Crew I received the Lots & Lots of Penguins dual disk set to facilitate a fair and accurate review. All opinions expressed are completely my own. This is such good info for my research. I will bookmark your post here on Digg. Thanks a lot.